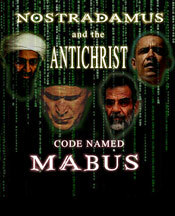 Sunday, 28 October 2007 was Nostradamus Day on History Channel. First, we “warmed up” with a replay of the popular Ice Road Truckers series. While burly men barreled down roads of ice over frozen Canadian lakes, the upper left corner of my TV frequently blazed a warm and inviting Gothic title of the premier treat to come with a time clock subtracting second-by-second the time remaining before a documentary would introduce to the world Nostradamus’ greatest and long lost book of prophecies. After the sun went down and the ice truckers faded into the Arctic sunset, earlier Nostradamus History Channel documentaries played warm up band for the big-ticket event. The first was a show I had the pleasure to appear on as a guest called “The Other Nostradamus” – a comparative study of America’s greatest 20th-century prophet, Edgar Cayce, and the 16th-century mage of France, filmed in 2005. I regard it as the best documentary I have appeared on, to date. After “Other” came “Nostradamus: 500 Years Later,” a two-hour epic documentary from 2003 with great production values – except for some Nostradamus sequences with an actor ruminating on the future in his secret study with a stiff glued-on beard. It struggled to be historically factual about the life of Nostradamus while debunkers, such as bombastic Pen and mute Teller (thank goodness because he really has a potty mouth in private) go toe to toe with a stalwart second string assortment of Nostradamian scholars. I can’t tell if some of them were trying to look like Nostradamus or like yours truly. Then came the big event: a two hour romp with great production quality, whizz-bang special effects around the subject of a book by Nostradamus no less, that had been “discovered” in a public Library in Rome in the mid 1990s. The manuscript apparently was handed down to posterity by the prophet’s son, Cesar (pronounced “Say-zar”) to Cardinal Barberini in Rome in 1629. Its predominant feature is a set of esoteric pen and ink illustrations, thought to be symbolic works of prophecy about the future of the Catholic Church during the end times — our times it seems. Ted Twietmeyer, a reporter and writer for Rense.com, has coined a new and apt phrase for it all. This documentary often turned Nostradamus’ prophecies into “video bites.” That is, quick flash pan blinking facts in images with a starvation diet of background or sourcing. For much of the two hours the documentary dwelled on projecting rather thinly and freely associated bits taken here and there out of Nostradamus’ accredited prophecies to fit their premise that they were used as verbal captions to these all-too-vague illustrations from the rediscovered book. The book that really stepped into the limelight of this documentary was not the new find but an old stalwart of 450 years: Nostradamus’ famous history of the future “Les Propheties” (the Prophecies), the authorship of which is without question. It was originally published in his lifetime in serialized form from 1555 through 1560. Benoist Rigaud reprinted it posthumously as one volume in 1568, in which form it has since generally appeared. This regurgitation of a true book to support a doubtful work supposedly penned and painted by Nostradamus should have been presented with less end-time hysteria and more sober investigation than I witnessed in this documentary. The most important mistake was an attempt to make Nostradamus fit with the current Chicken-Little-ism fad of pinning the end of the world on the year 2012. Anyone who has read Nostradamus’ confirmed prophetic works knows that the end of the physical earth will take place, according to his pen, in the year “3797” and definitely not 2012! This documentary failed to explain this discrepancy. It perpetuated this mistake, as we will see. The documentary introduces the six-by-eight inch book in remarkable condition, its pages often one second palmed with naked hands, the next second with gloved hands of an army of Italian scholars. Old book researchers do not as a rule touch original editions with their bare hands because the salts and sweat – let alone the minutest trace of spaghetti sauce – on their fingers destroys the aged parchment. It makes me wonder if the book in such mint condition was real or a prop. Quite late in the second hour, the documentary introduces the findings of forensic testing that concluded the book was a copy produced with zinc-laden ink – a unique signature in time for tomes penned no earlier than the 18th century. Definitely not from Nostradamus’ time. Still, in their defense, books where frequently recopied over time as the rot and dust motes of lonely libraries in Rome, Vatican or otherwise, do inexorably devour unrefreshed, hand drawn illustrated manuscripts. I would have preferred this information come sooner in the documentary, especially since it was established early in the second hour that Nostradamus’ son, Cesar, may have painted the prophetic images because his father had no talent to paint them himself. We are told the drawings have the crude innocence of a young hand. Young indeed! It is plausible, though. Cesar was twelve years old when his father passed away in 1566. In his final years, the great prophet was crippled with arthritis ravaged hands that could scarcely scratch his signature on papers dictated to his secretary, Chavingy, who was hired among other things to make his writing legible. Cesar did indeed grow up to become a fine portrait painter. Among his works are the best likenesses of his father. I must say that I found these ink and watercolor paintings no less sophisticated than those prophetic images produced by Nostradamus’ contemporary, Paracelsus in the early 1500s. The lost manuscript of Nostradamus seemed modeled after Paracelsus in design. I find those images are also equally vague and open to the whim of projection. The documentary from its first moments to the last based much of the strength and persuasion of its argument for the discovered book’s illustrations by relying on pulling – mostly out of context – prophecies universally established as coming from Nostradamus and not from the so-called lost manuscript. For example, we are told to decipher the image of a castle keep vomiting flames from its parapet and two arrow slits as a visual allusion to Nostradamus’ prophecies about the terrorist attack on the World Trade Center Towers in New York on 9/11 – 2001. It is my view that Nostradamus did foresee the 9/11 attacks in two prophecies indexed Century 6 Quatrain 97 and Century 10 Quatrain 49, but like so many examples in this documentary the illustrations are at best vague and don’t clearly match. Yes, we had an image of a turreted tower on fire like the “two” towers of New York. I would have been far more impressed if two flaming castle keeps appeared on the illustration, because in the prophecies Nostradamus described them in the plural as manmade “hollow mountains” plunged into the boiling caldron of their own debris fields into “the tub.” By the way, the builders of the Twin Towers in New York erected them out of an eight-story deep, watertight cement foundation called “the tub.” We know the hallowed pit today as Ground Zero. This so-called lost book has not resurfaced just now but years ago in 1994. It was an Nostradamian scholar and retired analyst for the Italian National Police named Ottavio Cesare Ramotti who first published an interpretation under the titles “The Nostradamus Code” or “Nostradamus: The Lost Manuscript.” I have both versions, with the illustrations in my library since they came out in 1998. The documentary flashes the cover of one a few times before the TV viewers. By the way, the picture on the cover is a self-portrait of Cesar as an older man, and not the prophet. No mention is made of this discrepancy in the documentary. Also, the painting of Nostradamus shown as an example of Cesar’s skill as a portrait painter is not a work painted by the son. 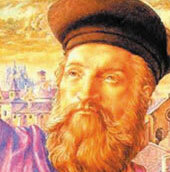 Nostradamus holds a telescope in his hand. The artist, whoever he was, had to have painted the portrait after the invention of the telescope in 1600, at least 34 years or so after the prophet’s death. Certainly, that could have made him a contemporary of Cesar. Some researchers believe the portrait was painted as late as the early 1700s. The documentary made another laborious attempt to match a picture with another well-known vision of Nostradamus: the suspicious death of the first Pope John Paul by his own priests in the Vatican. The narrator conditions our minds to see a pope standing beside a jeering mob. In the illustration that they showed, I saw an assembly of red robed Cardinals in broad rimmed red hats. I did not see them showing disrespect to the pope in any way. To my eyes, they were just standing there in quiet reverence of the pope. The narrator framed them as doing otherwise. More projections on images mount the TV screen, many of them spiced with flashing, reverse negative images of Usama bin Laden and 9/11. A color illustration is divided into vignettes; one we are told is the outline of New York City during 9/11. This was another stretch for me. I thought the narrator was coaxing me to see what he wanted me to see, not what was there. The skyline of the city, to my eyes, looked like a ubiquitous skyline of any fortified city one would find in the Renaissance era drawing, definitely not New York. Now, if two towers close together had risen above the skyline of this city, I would have been very impressed! Another picture displays a pope riding a dragon, flashing his dagger at a bear. The documentary said, this signified John Paul II’s struggle with Russian Communism during his reign. OK, what I saw facing the pope was a bear. A rather emaciated bear. Indeed, it could have been a big dog standing on its hind feet. The narrator went on and on about the Russian commie bear and ignored the dragon, never explaining why the pope bestride this symbol for communist China was fighting the Communist bear. You’ve heard the story of the 800-pound gorilla in the room no one mentions? Now I must come clean with all of you. In all fairness to the production company, I was approached to do an interview. Late in their production cycle, they contacted me. When I examined the illustrations and their conclusions I had to tell them that in all fairness to my 30 years of study, I had to play the role of a sympathetic though skeptical Nostradamian expert. Especially as there are many circumstantial clues to works like this being written either by frauds under the name of “Nostradamus” or as an embellishment of the prophet by his son, Cesar. I proposed to contribute a theory in the second hour of the documentary that Cesar had this devotional yet jealous relationship with his father. No other friend or sibling did more to establish Nostradamus’ legacy, and yet, Cesar may have had this weird desire to garnish his father’s prophetic work with prophecies of his own. It could have been an act of rebellion against his father for predicting in writing that none of his descendants would possess his gift of prophecy. (That means you too, Cesar.) The Lost Book of Nostradamus could be another questionable tome penned and painted by Cesar, or Nostradamus’ grandson, Seve, such as the Sixians. Seve presented the Sixians (six line poems attributed to Nostradamus but written by “somebody else”) to King Henry IV of France in the early 1600s. In the documentary, researchers report that the last page of the Lost Book states that it was delivered to Cardinal Barberini (the future Urban VIII no less) in 1629. This is a key fact supporting the manuscript being produced by Cesar Nostradamus who, near the end of his life, might have bequeathed the manuscript to Barberini before dying of the plague in 1630. In support of the documentary, I concur that it is quite possible for a manuscript to reach Rome from South France. Merchants and scholars traveling from Provence to Rome did so frequently. Nostradamus had sojourned through Italy more than once. He even mentioned his long stay in Florence in his Treatise on Pharmacists – his recollection of recipes for medicines, preservatives and plague cures published in 1552, several years before his major prophecies. When at last the forensic report about the book’s authenticity came through late in the second hour of the documentary, it concluded that neither Nostradamus nor his son Cesar had penned the copy. Fair enough. Books are recopied all the time. Nevertheless, one can still do a good job zeroing in on the author by comparing writing styles. I would have suggested that they compare Cesar’s published works to this manuscript. He had a specific style of word use. His father, for that matter, had an eccentric writing style very hard to mimic. Why didn’t the documentary look into this? This is a common practice of trying to prove authenticity of authorship. I thought the Cesar-writing-as-father story was worthy of a television introduction. I hope to present it myself on television someday. You can read about this theory in detail in my biography, click on Nostradamus. By the time I pitched this idea, the producers of the TV documentary had established a narrative story arc that could not include this tributary story. I understand and respected their decision not to have me in the documentary. Actually, I am grateful I didn’t appear in this documentary as it turned out. I liked many of its cinematic elements, but I have problems with the near hysterical pace and emotive projections. They did their heroic best to pin the “tale” of Nostradamus’ true works of prophecy on the donkey of these illustrations. It didn’t work for me, sorry to say. Then we come to the documentary’s final, climax – a seemingly cogent but altogether far-fetched attempt at dragging the poor Mayans and their 2012 “doomsday” calendar together with Nostradamus. First off, much is made of the parallel between the illustrations and the Romanesque relief statuary of a 12th-century church located virtually next door to Nostradamus’ house in Salon de Provence, just a block or so south. Because the Knights Templar built it, we are to assume between the lines that Nostradamus was part of the secret cult whose story was famously edited together in the movie blockbuster bust, the Da Vinci Code. (Actually, I loved the music score and the opera buffo performances from Paul Bettany and Ian McKellen!) Apparently, the Romanesque church statuary matches the illustrations of the lost book, so there must be a connection, right? I have been to that lovely Church and at first; I even liked to think Nostradamus prayed there. However, documentation of baptisms of Nostradamus’ children and other papers do not support him being a member of that Christian community. Rather, he worshipped at a smaller more modest chapel outside of town to the north that has since been destroyed. It was at this Church of the Cordeliers that Nostradamus’ body was first laid to rest. It was his dying wish, written in his will. The documentary completely missed these historical facts. You would think that if Nostradamus supported the other church and its Templar symbolism he would have been buried in its walls, as was the custom. Next we are told that the statue on the wrong church built by the Templars is a representation of an illustration in the Lost Book of Nostradamus. It illustrates, so they say, the constellation of Ophiuchus – sometimes known as the “thirteenth” constellation of the Zodiac. You see the center of our galaxy situated right near Ophiuchus. The arrow of the nearby constellation Sagittarius is said to point exactly at the galactic center. On the day the sun rises in conjunction with Ophiuchus and the arrow of Sag, we will experience what the documentary calls the Great Alignment. This is the last day on the Mayan Calendar, the Winter Solstice: 21 December 2012. At that moment, it is predicted that time ceases and the world will end. I don’t know if it is just me, but the image they showed of Ophiuchus was about as close to the tropical constellation demarcation line as any other constellation hanging just outside of the 12 tropical signs of the Zodiac. I mean, even the foot of poor Ophiuchus was above the tropical line. Just pull out your star charts everybody. If Ophiuchus is close enough then why not sandwich the constellation of Auriga next to Taurus or insinuate the head of Cetus the Swan between Aries and Pisces. I found this to be an astronomical and astrological stretch. The warnings and astrological dates of Nostradamus’ authentic manuscripts and those of others are clearly set for our times without the need to project them on a recovered “Lost Book.” We are at a critical stage in human evolution and if a more balanced examination of collective prophecy could find its way into a TV documentary we might all be surprised how many time cycles are converging in our times, right now. So many in fact that the Mayan Calendar might be lost in the crowd. Also, let me state for the record that great cycles of centuries don’t turn on a second’s dime. The margin is decades long. If one must find a regular year to mark the shift of ages, we are in it now. 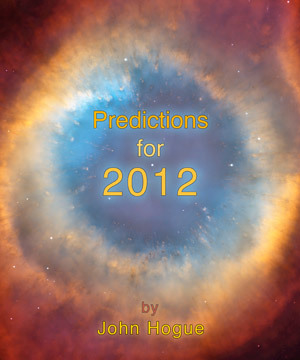 Do not wait for 2012. The time of the shift in history’s path is right this moment. The frightful interpretations proffered at the end of the show about running out of food, water and “ammunition” – whatever that means – are just more examples of conclusions derived from fragments pulled out of context, out of Nostradamus’ authentic work, to support nebulous illustrations from an 18th century copy of a book that may or may not contain even the writing style of Nostradamus or his son. All of this leads at last to a climax that stands as the most glaring and fundamental mistake of this documentary: pinning Nostradamus to the Mayan Calendar and the year 2012, forcing his predictions to align with the end of the world at that time. Anyone who has read the prophet KNOWS he predicted the end of the world taking place nearly 1,800 years from now, in 3797 A.D. I also recall one of the researchers during the show shamelessly lifting that very prophecy from the Preface out of context inferring it related to the year 2012, and not 3797 as it is written by Nostradamus in hard print! I challenge these “experts” to retire from prophetic research and get a life when 2012 comes and goes and the wheel of time continues to role. This objectively unsupported tie-in of Nostradamus with the Mayan End-Time is a pure case of irresponsible, fear mongering “Chicken-Little-ism.” The sky is not falling in 2012. Let me say for posterity, right here, right now – on my 52nd birth day, it so happens (29 October 2007) – that there will be no end of the world or an end of time in December 2012. There will be a world full of evolutionary crisis and challenge, that is for sure, but the world will go on, and we will be responsible for growing up as a people and as a more heartfull culture in the year 2012, 2013, 2020, et cetera, or continue to suffer the global consequences until we do. The only thing we have to fear about the near future is not bin Laden, Bush, or even 2012, but a hypnotic addiction Americans have to fear itself. It is fear used as a weapon of human unconsciousness that makes the future a scary place. I have had interchanges with the producers of this show. I do not believe they consciously intended to foment fear. Rather, they are like many of us, prone to interpret the future and its prophecies fearfully. They did the best they could and will do better next time, hopefully. May we all do better. I hope and work towards the day when a more balanced and fact based documentary on Nostradamus’ actual prophecies might be produced for the sake of our enlightenment beyond fear to grasp a future – a golden age.